Our modern food system relies on trucks. It relies on shipping and the ability to get trailer loads of product into supermarkets and retailers. So, what happens if something impedes those deliveries? Just how long would the people around be able to survive without the goods rolling in? 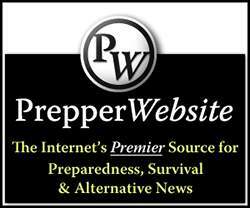 The common belief, amongst preppers, is that we are merely 9 meals away from collapse. Three days of breakfast lunch and dinner would put the average person in a dire situation. Beyond that, the stores would be picked clean by that time as well. 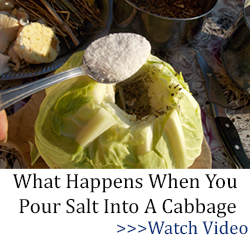 The best way to avoid this risky source of food is to stop relying so heavily on it. The only way you can find true food independence is by growing more of your own food. Of course, that presents problems, too. There is a growing season when the foods are ripe and delicious and then there is a season of the opposite. That’s where dehydrating comes in. We are going to talk about 50 foods to dehydrate for your stockpile. Perhaps one of the best snacks you can get your hands on, dried fruit is the perfect thing to grab for when you are looking to avoid bad snacking habits. These little morsels dry well, and they are great to rehydrate for topping sweet treats. If you combine those strawberries with some freeze-dried blackberries you will have a great snack that travels well and can be combined with granola. The paw paw is a tropical fruit that grows right here in the united states. They grow as far north as Virginia and they are like a banana meets a mango. There are big seeds in the paw paw but they can be halved and removed. Probably one of the most notable dehydrated foods. Be careful if you purchase these bananas you assure they are not coated with a light sugar glaze. This helps with shelf life but adds unnecessary sugar. Figs dehydrate well, and their unique flavor is intensified by the process. Pineapple is another dehydrated food that can be coated with unnecessary sugar. Look for the best quality products you can or dehydrate them yourself. 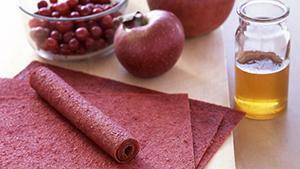 Pureeing fruit and dehydrating it on a pan will create a dried fruit leather that is delicious to carry and store. This will also save you Mylar bags instead of having to pack whole fruits in them. 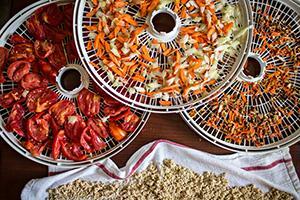 Dehydrated vegetables may not make as great a snack as the dehydrated fruits, but they are still delicious. Though they can never be as delicious as a fresh bean off the vine these dehydrated beans add color and flavor to anything. One of the base ingredients in most meals, the dehydrated onion is great ingredient to have around. Diced dehydrated onions are an important thing to store for many applications. Carrots are a great little snack in their fresh form. 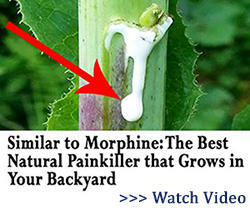 They are also another base ingredient that makes up the French vegetable base called mire pox. Having them dehydrated in the diced form is a great convenience. A powerful vegetable filled with sulphurophane and calcium, broccoli is a terrific addition to any mean. It’s a staple in most home freezers so it would make sense to have some dehydrated as well. There are few things as delicious as a fresh tomato. While dehydrating them doesn’t offer that same flavor I assure you that what you dehydrate from your fresh garden tomatoes is better than any hot house fresh tomato you will get from the supermarket. Peppers are one of those vegetables that do not store well. You can grill them and freeze them or roast and peel them. I think diced, dehydrated preppers are a great method of keeping them on hand all year. Dehydrated okra is such an incredible snack. It also grows like crazy! Dried mushrooms have been medicine for thousands of years. If you grow your own mushrooms one of the best ways to store them is dehydrate them. Herbs are both an important thing to have around for flavor and medicinal purposes. The best thing about dried herbs is that they dry with just a little sun or even on a dry counter. I like to pick them and hang them upside down. One of the most effective and powerful herbs, rosemary dries well and as an added benefit it also smells great when you burn it. It’s a Cuban tradition to rid a room of evil spirits. One of the very best herbs to cook with, I cry a little each year when the first frost kills my basil plant. Dried lavender is an incredibly relaxing herb. You can dry it and put it into teas or even soaps. By far my favorite herb to cook with, thyme, is also a powerful anti-bacterial. Dried yarrow root, when powdered, is great for stopping bleeding. A great sleep aid and a powerful dried herb to add to tea. Filled with Vitamin C the dried rosehip can help boost your immune system. The power that comes from roots is amazing. I have chosen some very powerful roots to highlight how dehydrated roots can be of use. Ginger is a powerful flavor for cooking. Its also packed with healing properties. When I am feeling under the weather there is nothing better than ginger, dried cayenne and honey tea. Natures anti-inflammatory, turmeric has been rediscovered as of late and people are using it to deal with that today. It’s a great root to dehydrate and even to powder. Many people don’t know that the root of the dandelion can be roasted and ground to make a drink that is like coffee. It does not have the caffeine but it’s a great taste. The powerhouse of the immune system, the echinacea root can be dried and used in tea during that cold and flu season. You have got to have protein in your diet. 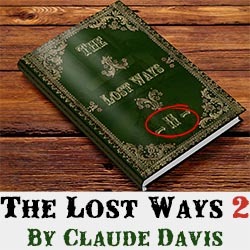 Whether you are talking about a survival situation or day to day life. Here are three examples of protein that dry and dehydrate well. Salted and dehydrated duck breast turns into something like ham. It’s delicious. Smoked and dried fish have been helping mankind survive for thousands of years. With the technology of today fish can be smoked and dehydrated to create something great to eat later. I like to use smoked and dehydrated fish in chowders in the winter. By dehydrating foods, you have the ability to run them through a spice grinder and create powdered versions of these powerful ingredients. Powders are great for adding to foods, teas and even taking as medicines. A known anti-inflammatory this is a great powder for food and for dealing with things like sinus inflammation and even mild pain from inflammation. Garlic and onion powder are great additions to your culinary toolkit. They add great flavor to food and store well. Powdered ginger is one of those all-purpose powders that you must have around. When I am feeling down I always add ginger to my tea, I add it to my pumpkin pie and its also great to mix with other spices. Powdering herbs is another terrific way to add their essence to your food or to your overall health program. I like to make herb mixes in powder form. Herbs de Provence is a mix of lavender, thyme, savory and rosemary. It’s a wonderful mix to add to tons of things. Have you ever made homemade pasta? Its incredibly simple. Its also delicious. 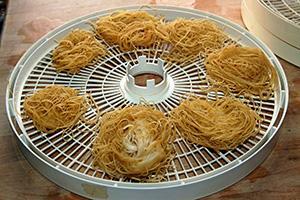 You can dehydrate your homemade pasta to get more life out of it. Cooked and dried potatoes can slash the cooking time on these starchy staples. Powdering sauces gives you the option to begin packing up your own meals on the go. 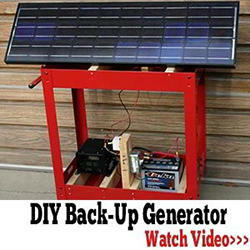 This allows you to create flavorful camping meals that you can rehydrate out in the wilderness. Rice and beans that have been cooked can be dehydrated to carry and reheat efficiently. If you use brown rice with your beans you will be tapping into some serious nutrition with just two ingredients. Rather than investing in foods that have been sourced and processed in areas and facilities that are unknown to you, start building a dehydrated foods stockpile of your own. 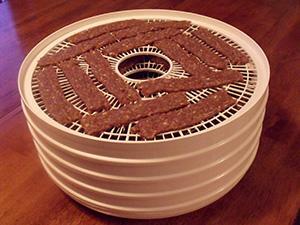 By growing your own food, dehydrating it and storing it, you know everything about the food that your family is eating. Your list didn’t have one of the most dried fruits on earth, the persimmon. Dried persimmons are a huge favorite in the fall and winter in Asia. While Japanese style dried persimmons are very labor intensive, I dry persimmons from our two persimmon trees every fall in an easier method. I have two methods of drying them. One dries them very dry and the other they are semi moist. To thoroughly dry persimmons, core them to remove the core and seeds then slice them in thin slices about 1/4 inch thick. The slices can be sun dried, or dried in a drier or in an oven. I set the oven at its lowest temperature and it usually takes four to six hours to dry the slices. Sun drying takes about five days in strong sunlight. The other method is to cut the persimmons in quarters, de-core the quarters and remove the seeds. After quartering I cut the persimmons into either eighths or sixteenths, depending upon the size of the persimmon. 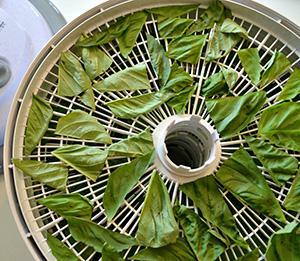 They can be dried again in a dehydrator, via the sun or in the oven. I don’t dry them as dry as the slices as we like them on the moist side. They store well, but we eat them long before they can get bad. Hachiya, the astringent persimmon before its jelly stage is the favorite persimmon for drying Japanese style. As it dries the latent sugar forms and they are sweet after they dry. Japanese style drying needs freezing temperatures at night and cool, dry days in order to achieve the desired condition. The fruit is dried whole with the skin removed. I won’t described the rest of the process here because it is detailed and lots of work. However, the result is a gourmet delight. Do you need to vacuum seal or zip lock baggies. where do you store them at, freezer or in box in a cool place? I just put the completely dried persimmons in a mason jar with a plastic top. I don’t do anything extra to preserve them. They are eaten before bad things happen. 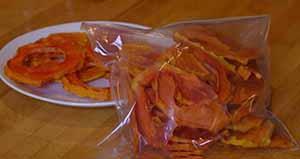 The semi-dried are stored in a tupperware container in the fridge. Again, they are gone before anything happens to them. 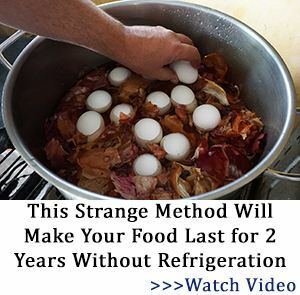 If I had more that I couldn’t consume in a month or two, I would seek out a better way to preserve them, perhaps vacuum sealing. With only two trees, we eat all the fruit in a single season. We only dry the fruit because the trees ripen all at once and one can’t eat that many persimmons fresh before they start to go bad. Also it is a race with the birds to get to the persimmons before they do. I tried netting the trees but for one person it is a lot of work. A crew of four could net two trees in less than an hour. It takes me two long days to net the two trees by myself. If I lived in a more rural area I would shoot the birds with a pellet gun but this is the PDRK. I would have the swat team, the entire dog catcher folks, PETA and who knows who else descend upon me if I shot them here. Yes, Ray, you are correct, sir, two large for the small size is just a bit pricey. There is no space in the e-mail address. Of course, if I were more knowledgeable about the internet, I would already know that. I would not want any sugar on any of my dried fruit, especially the bananas. Those unwanted calories are bad for one’s health and could rot your teeth.. Is this a how to make it through tough times help or a wacko health nut bs blurb? 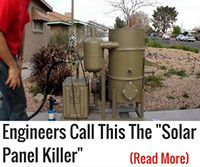 Something that most people don’t think about when dehydrating. You can dehydrate things like mustard, ketchup, hot sauce, pre fab pizza/spaghetti sauce, BBQ sauce etc. It also saves money if you buy in bulk. And saves storage space. You can dehydrate a gallon of hot sauce, down to less than a quart. You can vacuum seal in bags or jars. You can dry can it or just put it in ziploc bags. We even dehydrate dill pickles and make dill pickle salt. Grandma used to use baby food to make fruit leather with. ive dehydrated alot of things over the years i even dried canned a variety of foods. i wait for sales on things like white rice, and dry can it i do the same thing with flour. OK Now I got a way to try my fruit and vegetable I even have away to do it but I do not know HOW. different Time and different temperature. Can anyone help me there ? You forgot Dill. Lovely when dried from fresh, organic state.